Facial plastic surgery is becoming less and less invasive by the year. Of course, procedures like facelift and rhinoplasty will always be popular because we don’t have a non-invasive replacement that can provide that kind of results. Beverly Hills facial plastic and reconstructive surgeon Dr. Babak Azizzadeh says that injectable facial rejuvenation procedures were among the top requested procedures by his female patients in 2012, followed closely by facelift, new non-invasive Ulthera skin tightening treatment, and rhinoplasty. 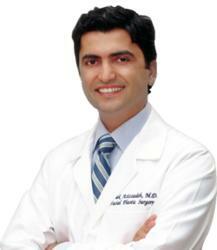 According to Dr. Azizzadeh, an increase in popularity of non-invasive treatments can be expected to continue in 2013. “In 2012, Botox and facial fillers like Juvederm, Restylane, Sculptra and Perlane were the top two most commonly performed procedures for women at my practice in Beverly Hills. It’s becoming increasingly apparent that non-invasive facial rejuvenation techniques are continuing to increase as more patients are opting to undergo a non-surgical treatment before deciding to select something invasive,” said Dr. Azizzadeh. Other cosmetic procedures rounding out the 2012 top five list included 3.) Facelift/Neck lift combination, 4.) Ulthera Skin Tightening, and 5.) Rhinoplasty. New Ulthera skin tightening treatment made it’s debut as one of the top five procedures for the first time ever, becoming the fastest growing procedure at the CENTER in 2012. Dr. Azizzadeh attributes it’s growth in popularity partially due to the fact that it makes an excellent complimentary procedure to several other treatments. “Ulthera skin tightening treatment is quickly becoming one of the fastest growing treatments at the CENTER for Advanced Facial Plastic Surgery. As a non-invasive procedure, many people find that Ulthera works well for complimenting several other cosmetic treatments, specifically Sculptra injections. Ulthera and Sculptra work beautifully together because Ulthera tightens the skin while Sculptra promotes new collagen growth, providing truly amazing and natural results,” said Dr. Azizzadeh. With three out of the five procedures making their way onto this list being non-invasive in nature, Dr. Azizzadeh believes that 2013 may pave the way for even more popular treatments that do not require surgery. Babak Azizzadeh, MD, FACS, is the author of the textbook "Master Techniques in Facial Rejuvenation”, and the best-selling consumer book "Beverly Hills Beauty Secrets.” Due to his Harvard-trained expertise in cosmetic and reconstructive plastic surgery, he has become one of the most sought-after physicians in the country, especially for facelift and facial rejuvenation procedures. He has been featured in media outlets such as The Oprah Winfrey Show, People Magazine, New York Times, Discovery Health, Los Angeles Times, Beverly Hills Courier, and numerous other platforms for his expertise in facial plastic surgery. If you would like to learn more about Dr. Azizzadeh and the procedures offered at the CENTER, please visit http://www.facialplastics.info or call 310-657-2203.